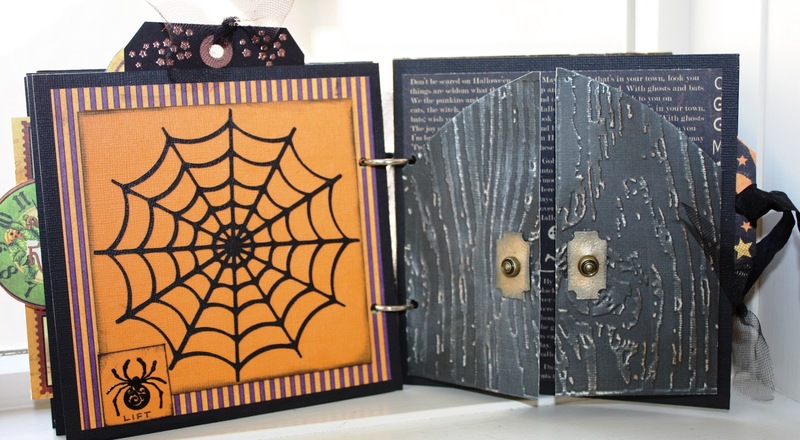 I have waited awhile to post this Halloween Mini album on my blog after teaching it at the Canadian Scrapbooker Carnival in September and then another version of it at The Urban Scrapbook last weekend. A big thank you and shout out to Graphic 45 for sponsoring my class at the Carnival! Everyone really enjoyed making the album. 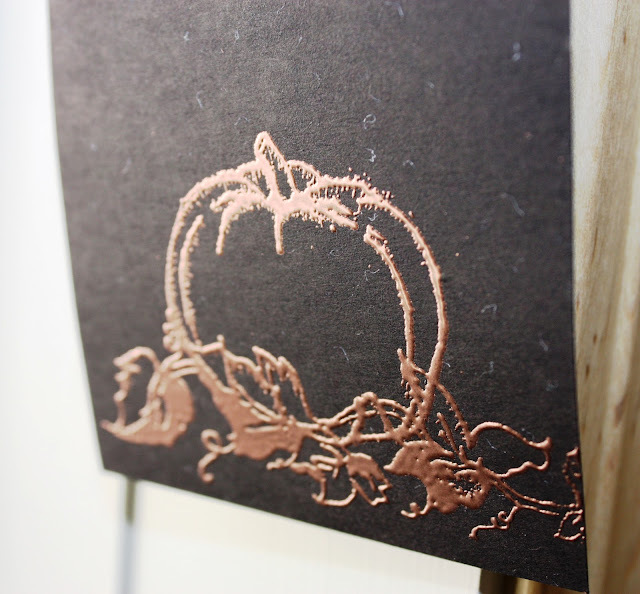 The full moon is embossed with a Tim Holtz Sizzix folder and then lightly inked with Vintage Photo Distress ink. 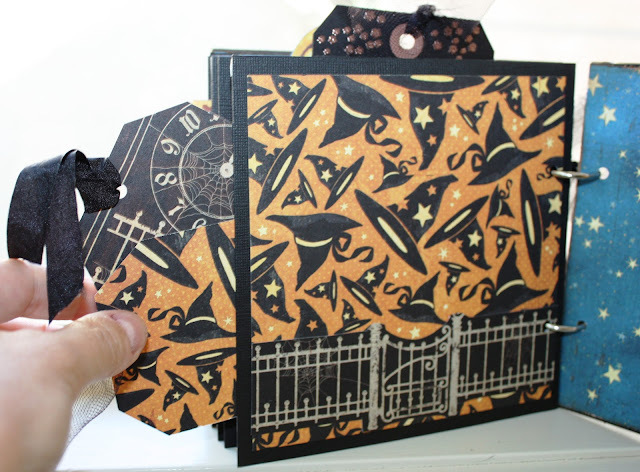 The bats are cut from Clearly For Art black modeling film, using a Sizzix die. When you heat the bats with a heat gun, you can curve their plastic wings. I cut the stars with a Sizzix die and also embossed them. The Oct. 31 is a Graphic 45 stamp. 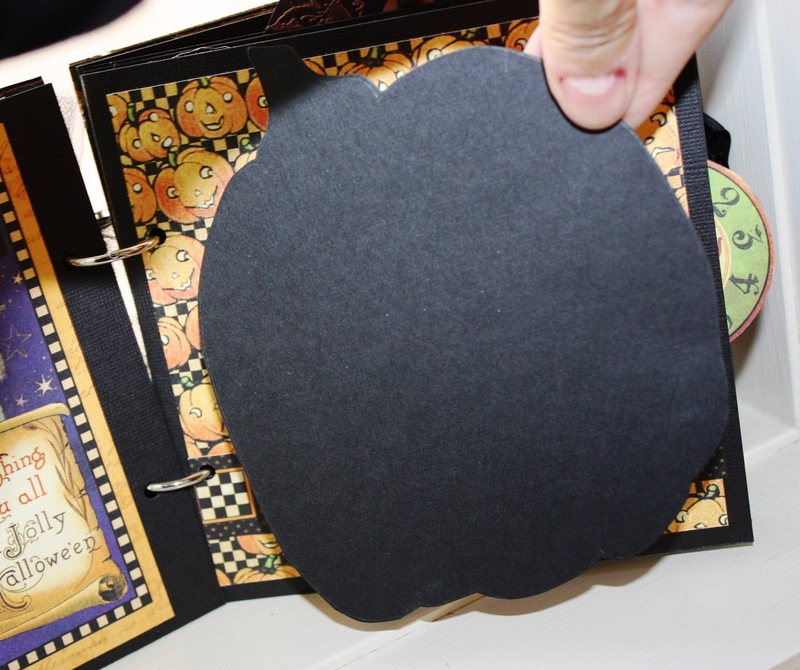 This pocket insert has a fussy cut moon tab. 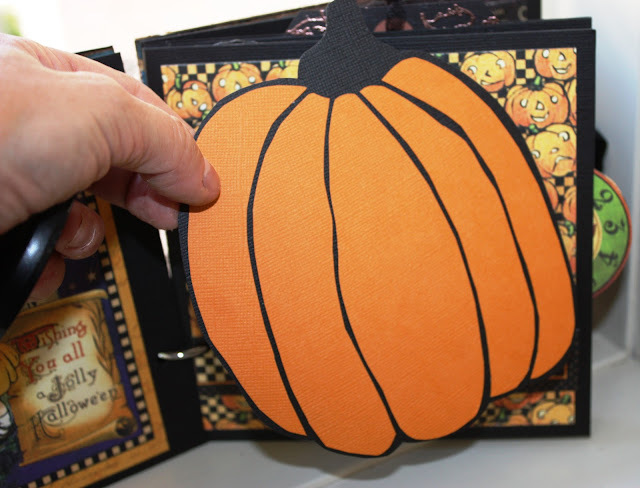 Each page is made from a 6″ x 12″ piece of black cardstock folded in half into a pocket. 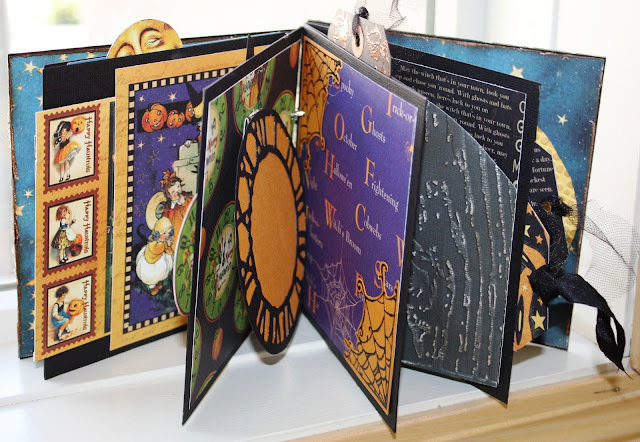 The pages alternate pockets opening at the top and at the side in the album. 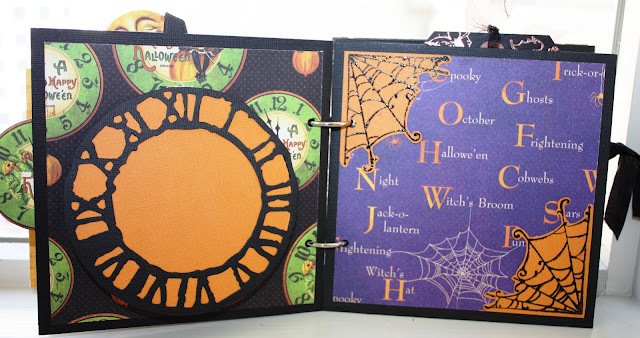 A big thanks to Michelle who advised me how to make these pages! 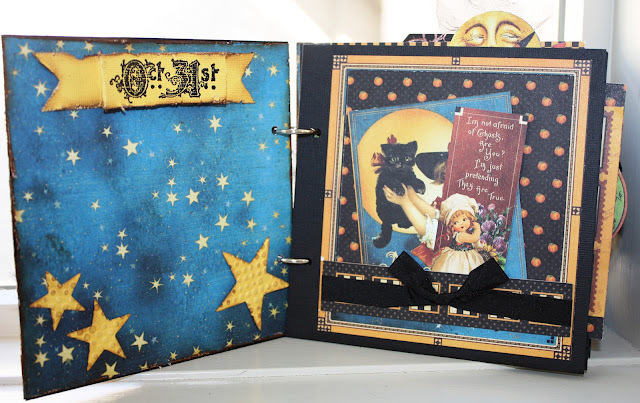 Click HERE to visit Michelle’s blog, where you will find more fabulous mini albums! One of my favourites is her travel mini album designed with Graphic 45 Tropical Travelogue. Page 2 has a slide out pocket as well. The clock is on a paper hinge and flips up. The page 5 pocket has a tag with stamping on it. 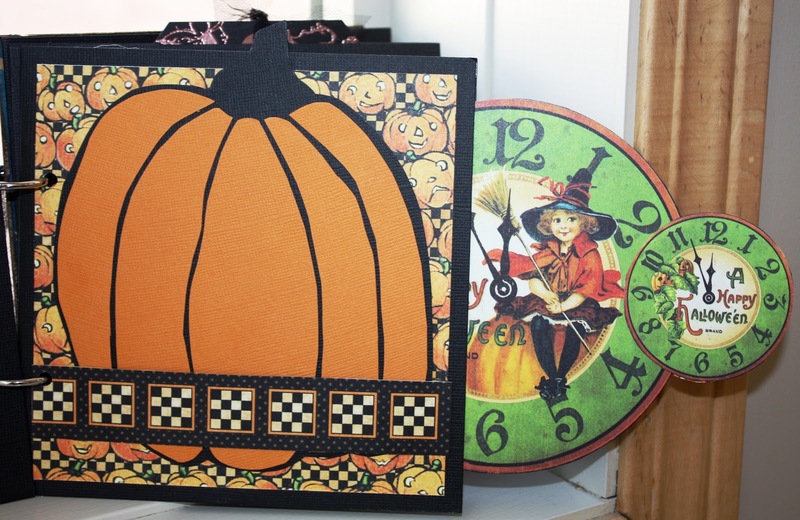 The black manila tag is stamped with more Graphic 45 stamps, pumpkin and vine border. Then I used Clearsnap Donna Salazar Mixed Media Inx in “Leather” to achieve this copper effect. The reverse side also has Graphic 45 stamping. The web flap lifts for more photos. The doors open with paper hinges. 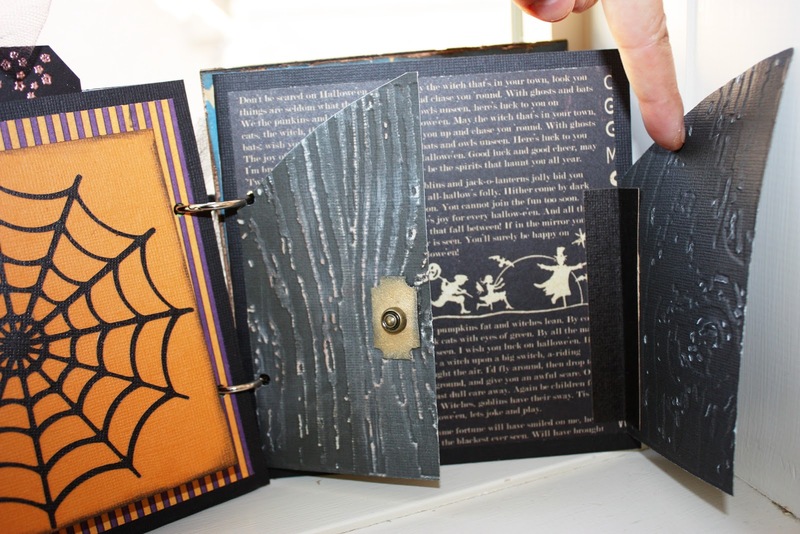 I used Black Soot Distressed card stock and embossed it with a Sizzix wood grain Tim Holtz folder. Then I sanded it and lightly inked with brown. The door knobs are Graphic 45 brads glued onto grunge board pieces that are painted with metallic Gold Adirondack dabber by Ranger. I clipped the corners of the grungeboard piece with a hole punch and inked a little with black. The fence is a pocket, and this page is a side pocket that holds 2 tags. The tags are tied with black ribbon and black tulle. 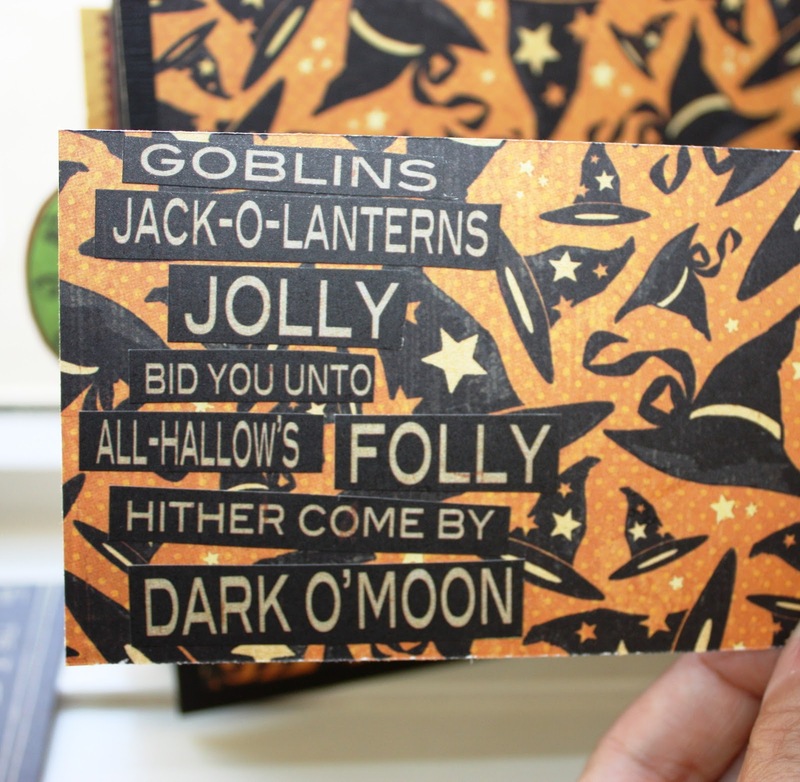 I cut some words from one of the patterned papers to add to both tags. The crescent moon is cut freehand and then embossed in a Sizzix folder and lightly inked. This beautiful black cat is another Graphic 45 stamp. 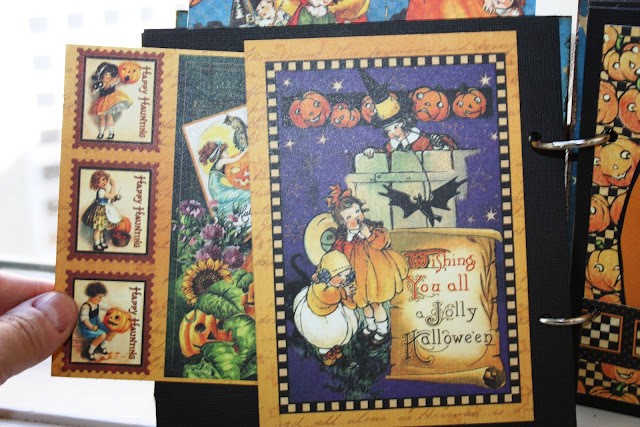 Did you know that this Happy Haunting Halloween collection has THREE amazing stamps sets? Beautiful images and all rubber cling mount! 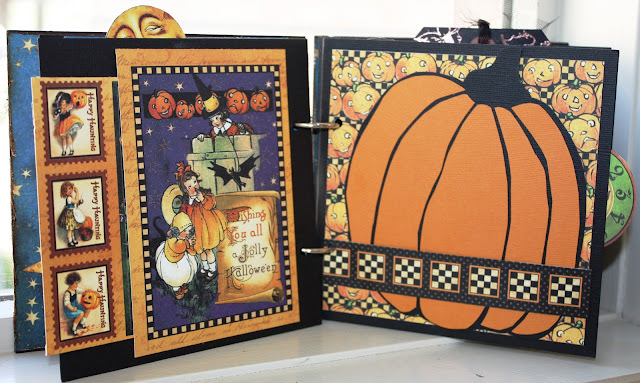 I cannot wait to fill up this album with photos of Halloween….I was able to snap pics of all 3 teenagers before they left for school this morning in their costumes. And BoyGenius…uh oh. 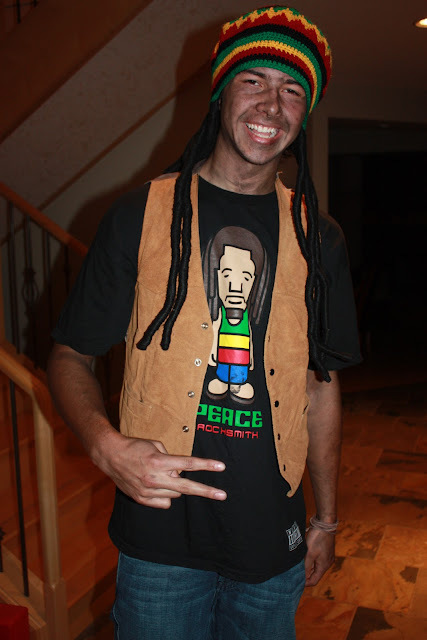 Please don’t judge me as a mother for his politically incorrect costume [or send me hate mail]. Darling album Kelly!!! Thanks so much for leaving some love at my blog!!! 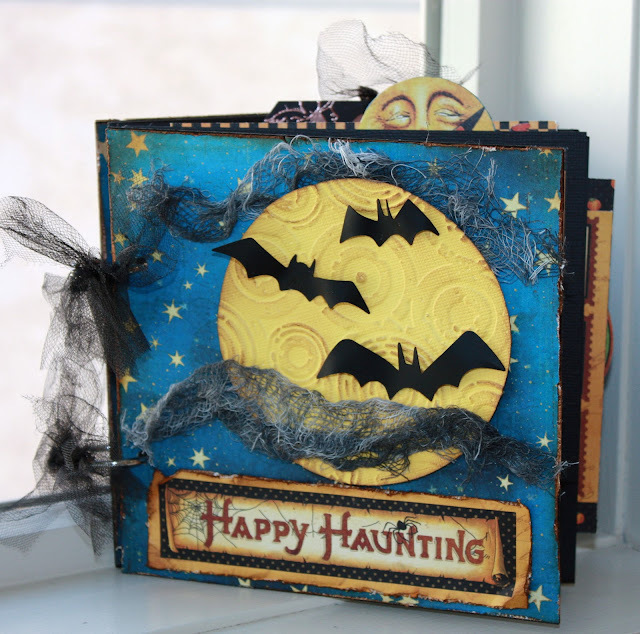 I love the Happy Haunting card. So many great detail and textures Kelly! 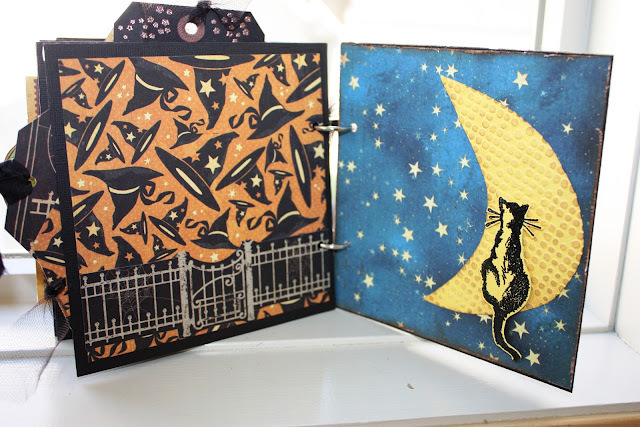 The embossing looks awesome the kitty is so cute and all the doors and flaps make it even more fun. 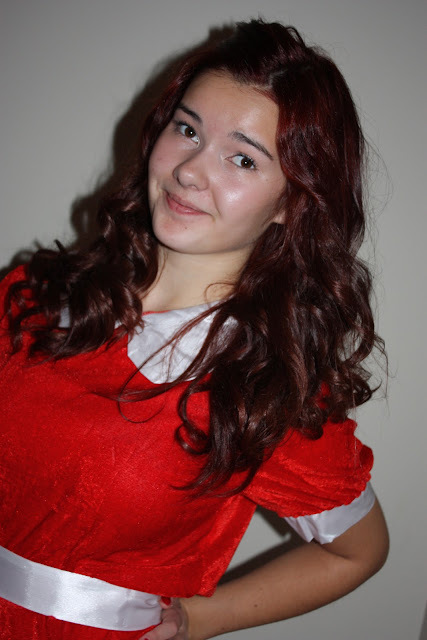 I just love Halloween!! This looks fantastic. Love the Graphic 45 stamps and papers. Glad you were able to snap some photos of your kids. Awesome album!!!!! I wish I had been able to take your class. Can’t wait to see it filled with this years photos! so so gorgeous and the details…yummy! This is amazing! I loved every page. You did an incredible job with the G45! I think I should start taking classes to learn some of your techniques! I’m back, lol. Really? You got photos of all 3 kids? That’s a miracle in itself! Perfect timing for the album!! Gorgeous work Kelly!!! I so wish I could make things like this!! How long did it take you to complete? Amazing mini Kelly! I love all the techniques you use! You cost me money you know, lol! Everytime I see some product you use, I have to get it! 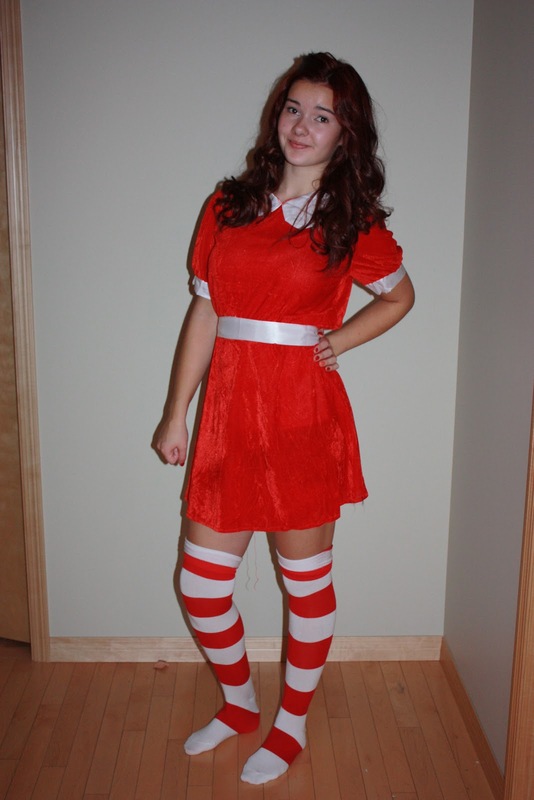 Happy belated Halloween, Kelly! I love your mini-album so much! 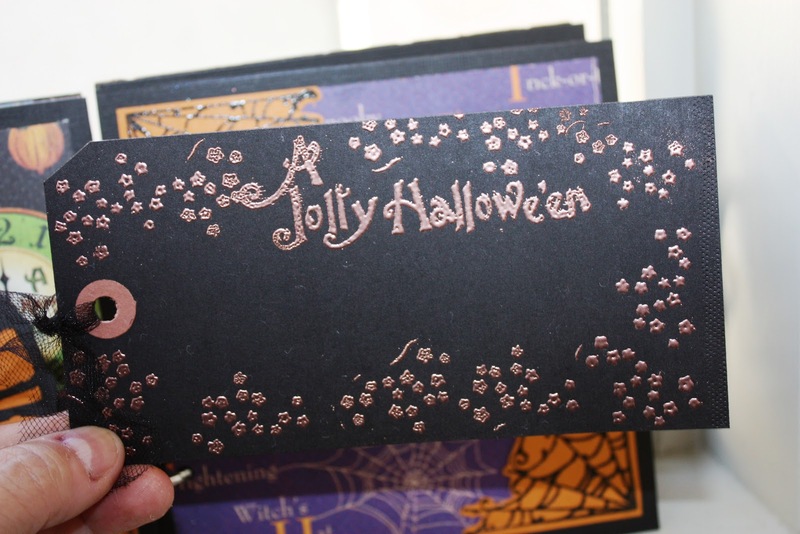 It is filled with lots of amazing details made cool by YOU!! I love the photos you shared of your kids, too. Awesome and fun!!!!! So many wonderful details in that album! Love the cheesecloth clouds, especially. 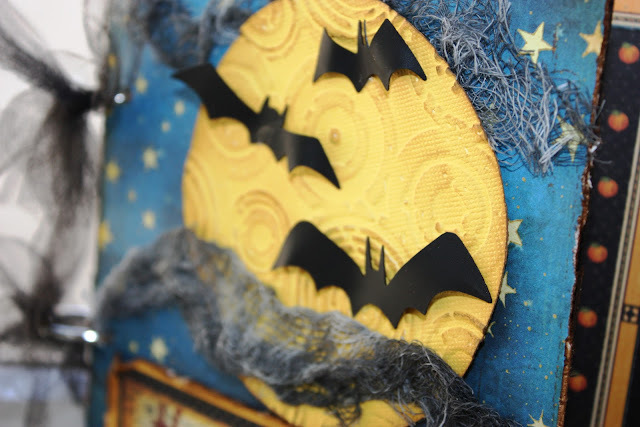 You have such great techniques and fun tips like using a heat gun to soften and mold the bat wings. I always learn something here! Love your ideas and the whole album. Fun pics of the kiddos. Got a kick from the 50s waitress with the cell phone tucked into her sock!